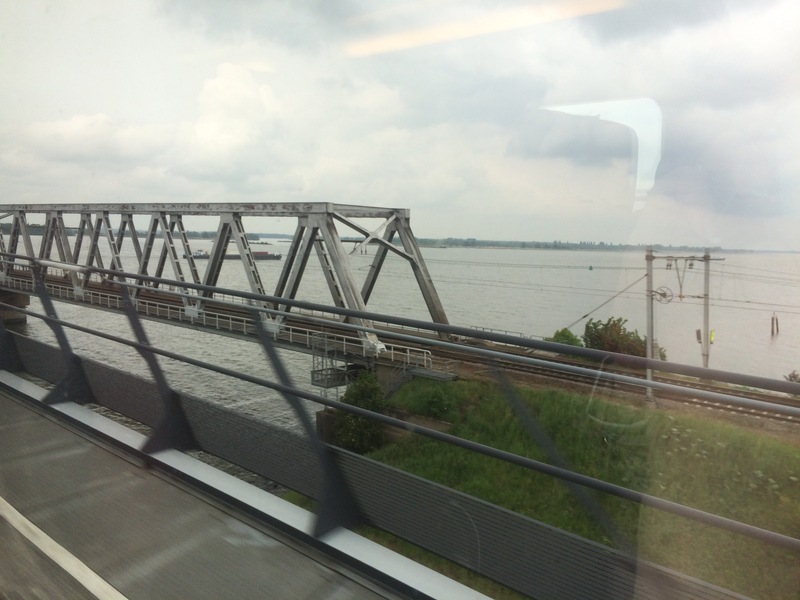 Today I travelled through three countries on a train. THREE! On the same train! And it only took 3,5 hrs! I love Europe! (Exclamation point overload). I got on the train, Thalys, in Amsterdam, after my conference finished, and travelled through the Netherlands, Belgium and France. Final stop for me and the train: Gare du Nord, Paris. Et voila! It was so convenient. And cheap. My second class ticket cost me EUR 35. There’s no way I could’ve found a flight that cheap. And – I got to see the landscape! 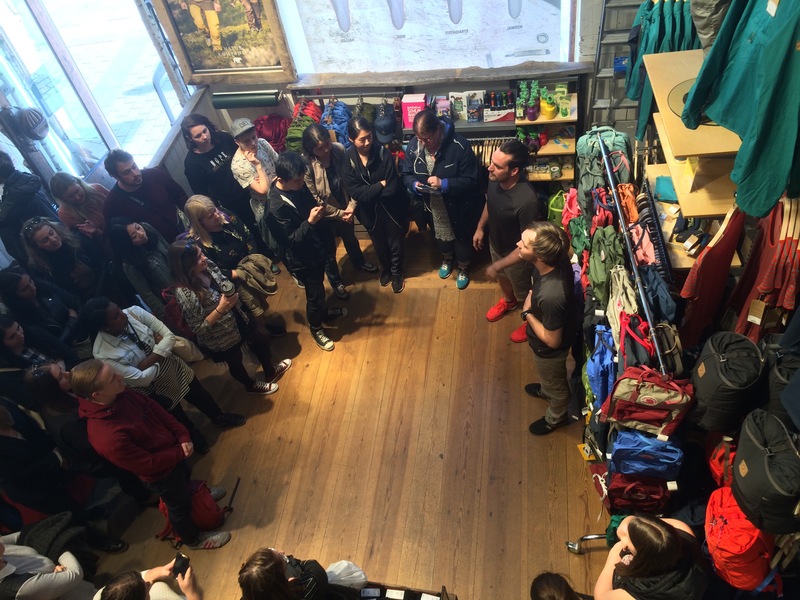 Today I attended an auction at the outdoors store Naturkompaniet after work. 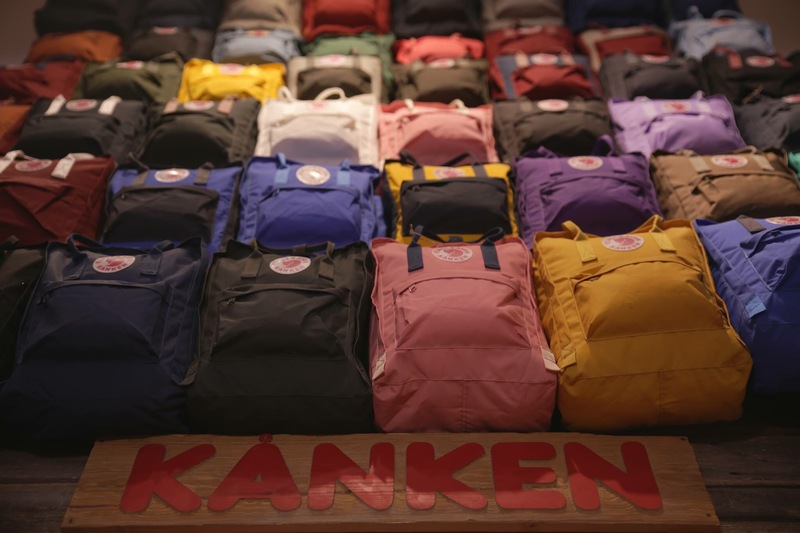 For a few years they’ve had a wall in their store covered with the iconic backback Kånken in many colours. Back problems among children were increasing in the 60s and 70s, due to heavy school bags being worn only on one shoulder (looking at kids today, I think it’s happening again…). 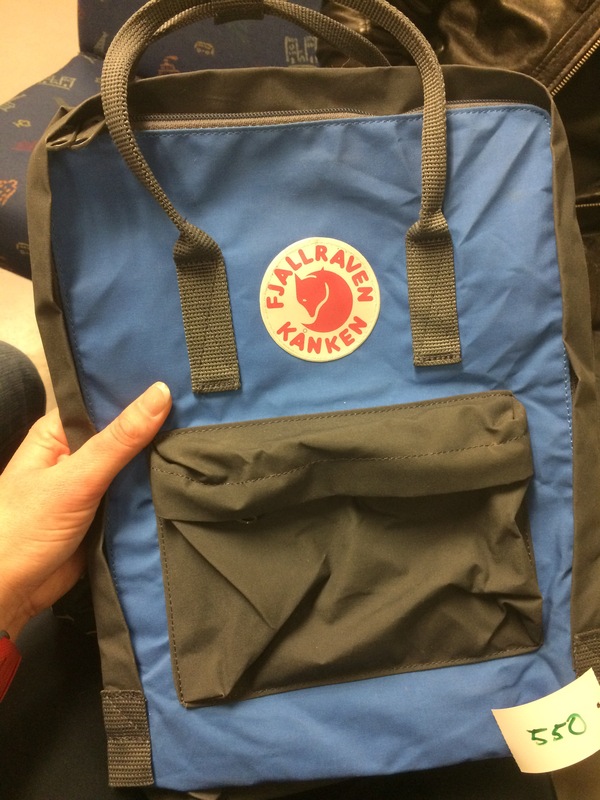 As a means to stifle this development, Kånken was developed by the company Fjällräven in 1978. 22 years later it’s still holding up, and is totally in fashion! 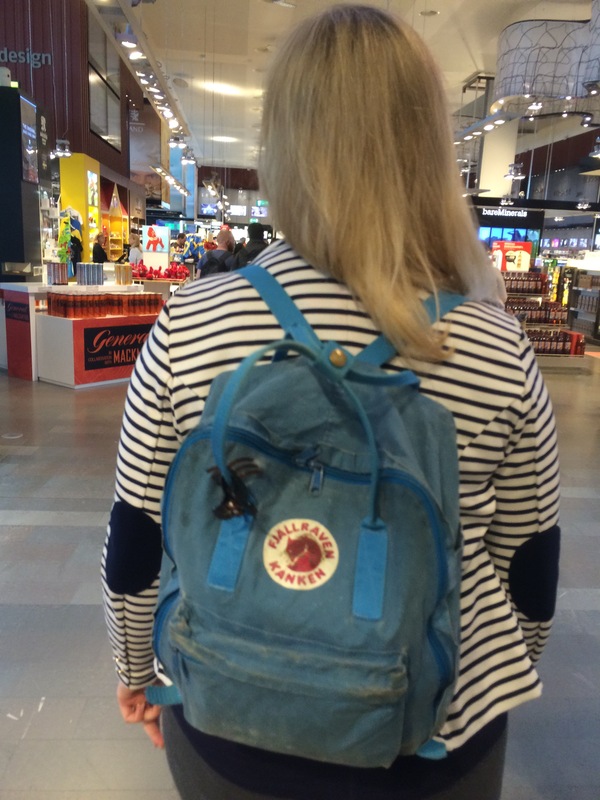 Over the last 5-10 years Kånken has grown in popularity, and are today seen on many hipster backs. But, back to the auction! The store had decided to re-make their Kånken wall, and decided to auction off the “old” ones for a good cause. Namely, an orphanage in Nepal. They’d announced the auction on Facebook, and quite a few people showed up. Pic from the auction, the tack of Kånken to the right. And, seeing as he’ll probably be 2-3 years old, I’ll just need to hold on to his Kånken for a few years until it’s his turn to start school! My baby’s backpack! I hope he’ll like his as much as I like mine! Today I was told my arthritis would probably get better if I just believed in God. Supposedly it’s just “ein prüfung”, en prövning, a test, according to the, of course, German who said this. COME ON! I’ve thought he’s a bit of a sleeze for years, and now I’ll add idiot to that. So, genes have nothing to do with it, huh? Likely. His reasoning was that he had a friend/colleague who was “freed” from his alcoholism when he found God. As if alcoholism and arthritis were comparable! GAAH! And if it’s only a “test”, a test of what exactly? And how many tests/prüfungs do I need? Severe arthritis and unability to bear children isn’t enough? No part of my body hurts (hooray! ), a colleague said I looked slimmer overall (hooray), and the sun is shining. Added to which I’m now able to see the earrings I’m wearing when looking in the mirror (which I couldn’t do when I had the classic cortisone “moon face”, heck – I couldn’t even see my earlobes!)! Now I’m off to football- forza AIK! …she ate candy 😆 Finally. 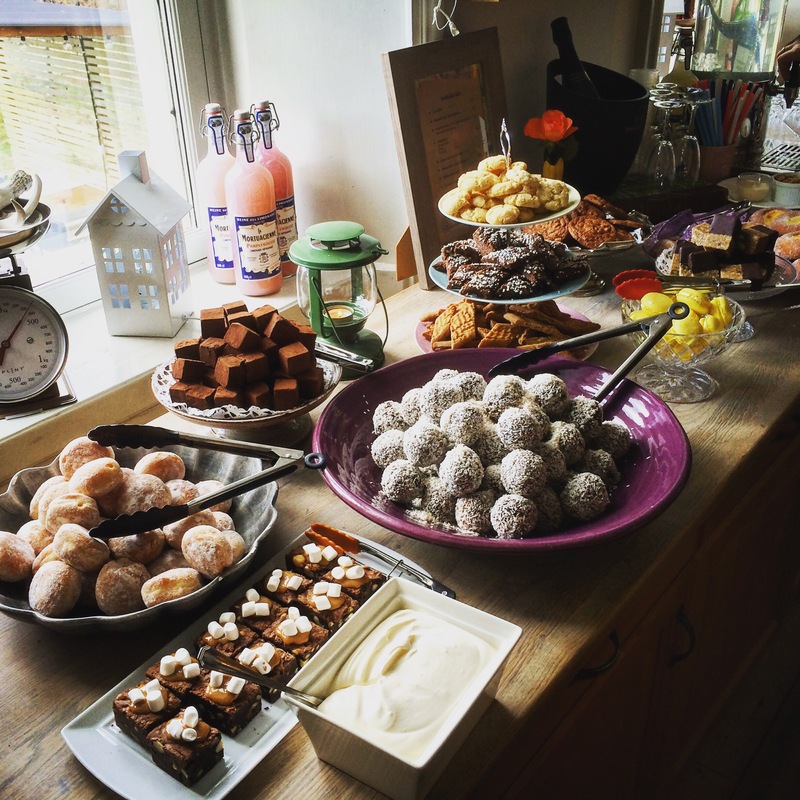 But we started the day at Riddersviks Gård, where they have a weekend fika spread. 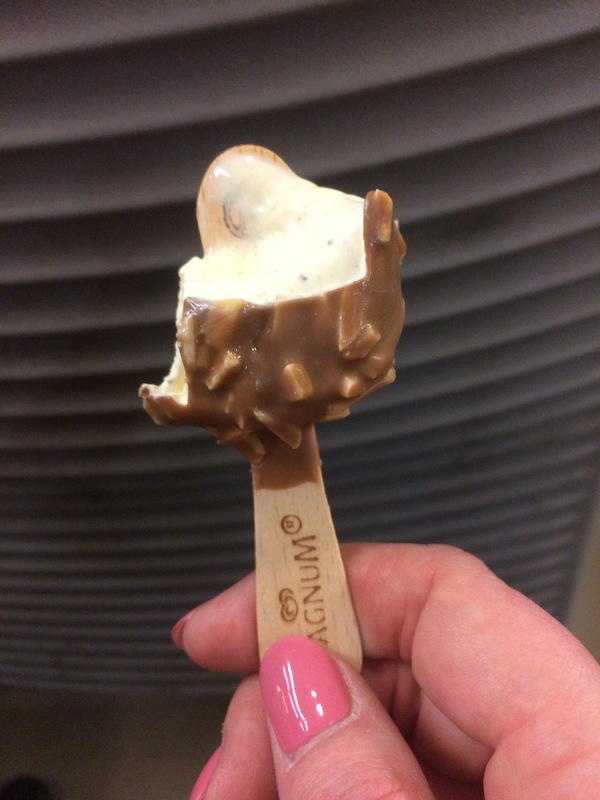 Soooo good! The fika spread at Riddersviks Gård, all homemade. 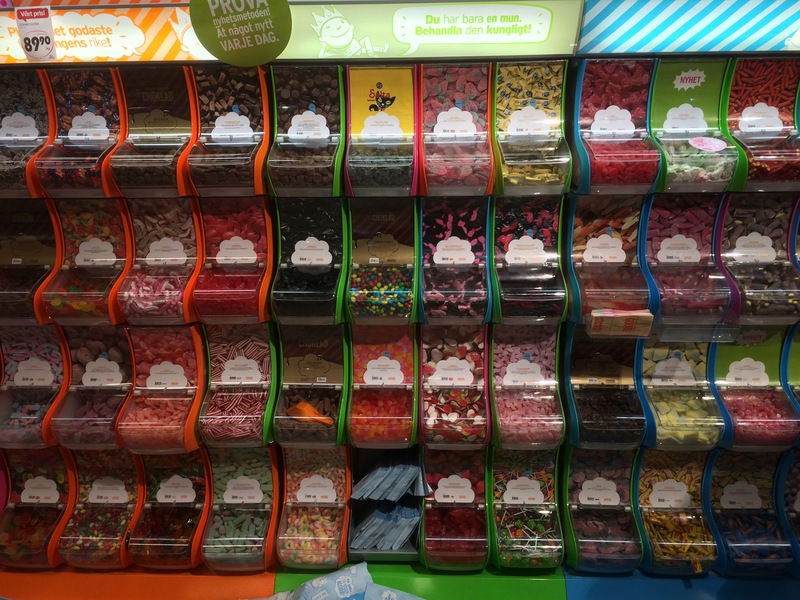 The candy section at the store! 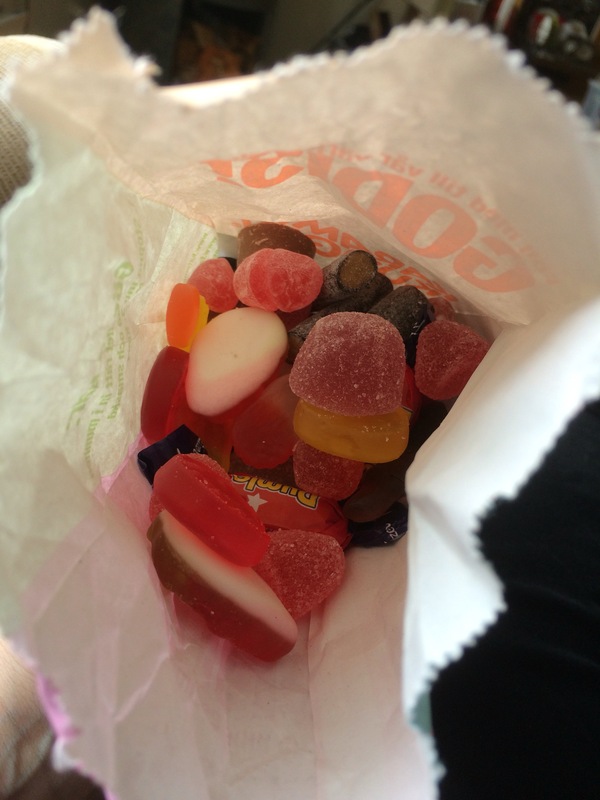 And all day I’ve been eating candy…mmm, candy! I deserve this after 100 days! 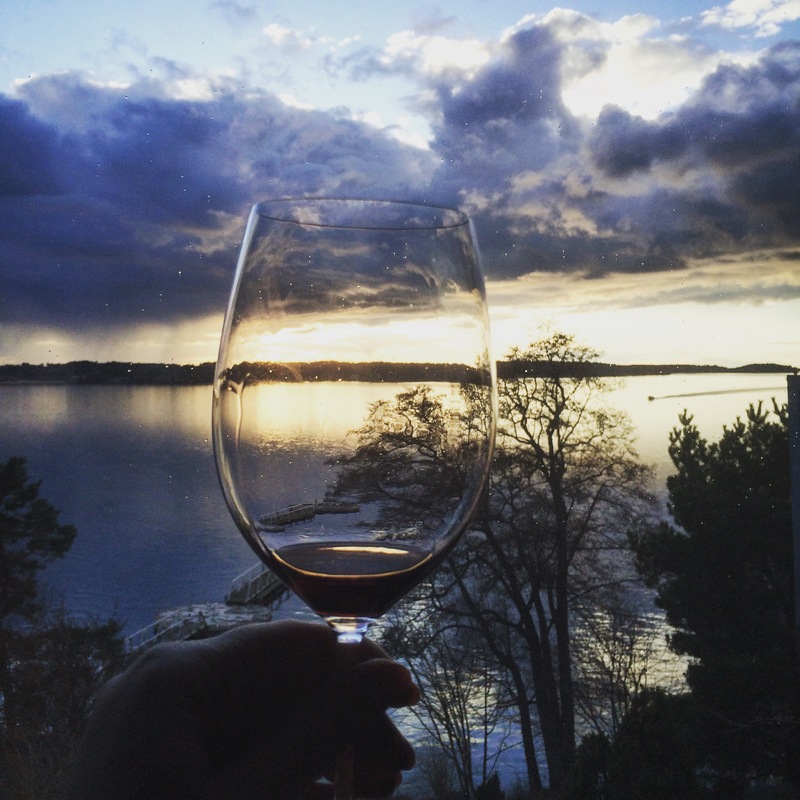 A glass of red in hand, and our gorgeous view.